Guangdong LiShun Yuan Intelligent Automation Co Ltd, or simply LSY, is one of the competent Chinese manufacturers of automatic rigid box making machines known for out-of-the-box features such as robotic arm and visual positioning system that eventually make rigid box production simple, efficient and exquisite. 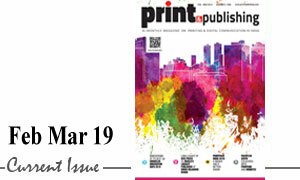 These machines are solely distributed in India by New Delhi-based Ample Graphics Pvt Ltd. Ample Graphics, which has so far partnered with a handful of Chinese post-press machine manufacturers, joined hands with LSY in the year 2017. Since then they have installed 15 LSY (LY) automated rigid box making machines in India. “LSY automated rigid box making lines are a game changer as these fully automatic machines with features like Robotic Arm and Visual Positioning System, save time and increase precision in production,” comments Sachin Kala, Managing Partner, Ample Graphics. Innovation is core competitiveness of LiShun Yuan having introduced many firsts in the Rigid Box automation. The company boasts of a state-of-the-art manufacturing plant of 20,000 sq m located in Dongguan city. The plant produces around 40 machines per month. Since its inception in 2001, LSY has exported its machines to 43 countries in Europe, America, South America, Middle East, Africa and many Asian countries including India. “We are now accelerating to tap India’s growing potential in the packaging industry,” says Aureal Wei, Export Director of Guangdong LiShun Yuan Intelligent Automation Co Ltd. She emphasizes that her frequent recent trips to India over the last year have yielded excellent results and increased the company’s awareness of the variations in the Chinese and Indian markets, helping in tweaking of their models to work better in Indian conditions. LSY automated rigid box making line are one step ahead of the conventional machines available in the market. “We are the first manufacturer of automatic rigid box making machines in China producing a range of models equipped with Japanese technology robotic arm made by YAMAHA,” mentions Aureal, adding that the models and technologies they adopt make the LSY machines stand out among competitors in the market. The machines in the portfolio of LSY include rigid box series, clamshell series, drawer series and book style box series designed for gift boxes, mobile phone boxes, cosmetic boxes, wine & liquor boxes, boutique boxes and others.The models are: LY-412CCD, LY-325STJ, LY-2012, LY-2012CCD, LY-1632JH, LY-1000XH, LY-600CCD, LY-485C, LY-1632, LY-900, LY-800C, LY-900KC, LY-SJ-650-A, LY-TCJ250, LY-500YPJ, LY-320C and LY-1000. “In India, our machines have been installed in some companies engaged in mass production of Sweets and Mobile boxes. These two segments in India are quite big and always demanding,” observes Aureal. LSY is planning to open its after-sale service centre in India, which will be operated though Ample Graphics. The centre will have technical team led by engineers from the company’s headquarters in Dongguan. “The presence of LSY engineers in after-sale service is vital. This will help in meeting the need of our customers to the fullest satisfaction,” says Sachin, adding that their aim is to form a solid after-sale service team. He explains that it wouldn’t be an easy task for agents to handle advanced machines without the involvement of the manufacturers. 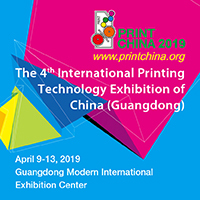 LY-412CCD automatic rigid box making line with visual positioning system and robotic arm will be one of the key products Ample Graphics is demonstrating at PRINTPACK INDIA 2019. This machine is the combination of visual positioning host, automatic corner pasting machine and high-speed rigid box forming machine. LY-412CCD features visual positioning system and touch screen to realise one-time completion of paper feeding, gluing, inner box molding, positioning, holding and moving, wrapping side, folding ear and forming. LY-412CCD is a high speed, high precision and high-quality box making machine, which can run at the speed 25-35 pcs/min with maximum turn-in depth of 100 mm. It takes papers ranging from 80 to 300 gsm. YAMAHA robot arm of the machine is designed for positioning in +/- 0.05 mm accuracy rate. 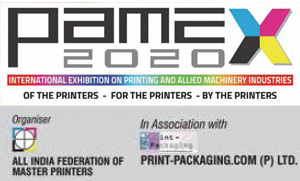 Live action of the machine can be seen at Ample Graphics’ Stand E31 & E33A during PRINTPACK INDIA 2019. Renewable and biodegradable straws on the cards!